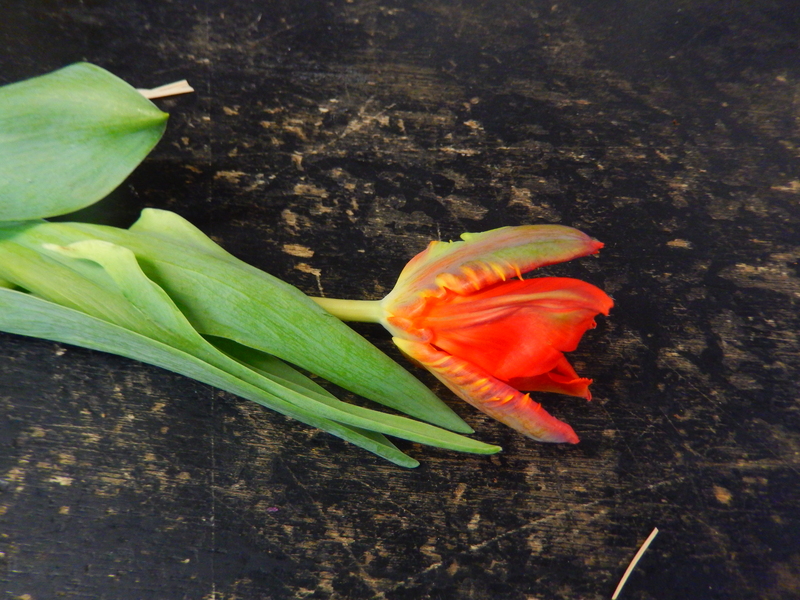 Native to mountainous regions, tulips need a period of cold in order to bloom. They are among the earliest and most prized of all of Spring’s early flowers. Currently, there are around 75 wild species of tulips and 150 species in total with over 3000 varieties. Most Tulip bulbs have two to six leaves, some species have up to twelve. They can be long and narrow, or they can have more of an oval shape. A single stem sends up a narrow, green bud that opens into a flower. An average length of a stem is 12 inches. Different varieties range in height from short (4 inches) to very tall (28 inches). Most Tulips have only one bloom per stem. One of the most influential flowers in history, this flower was first cultivated in Persia, probably in the 10th century. Since then, the tulip has been featured in great works of art and writing. And then later, during the Dutch Famine after WWII, people often resorted to eating tulip petals.